Approachable, empathetic, yet tenacious- Chris sees himself not as a sales person, but as a professional who guides his clients through the major life event of selling or buying a property. Establishing success largely by word-of mouth, Chris has built a loyal following by listening to his clients' needs and desires, ensuring they fully understand the process, being available and responsive, and, most importantly putting clients’ best interests ahead of making a sale. A lover of the Bulimba “destination and lifestyle” since arriving from New Zealand in 2010, you will often catch Chris meeting clients for a chat or briefing in the local coffee shop. But he is equally at home ‘in the boardroom’ where he is prepared to do the hard yards…. so his clients don’t have to! Chris’ strength is bringing buyers and sellers together. His extensive database allows him to match the right property to the right person. “I am constantly thinking about who have I crossed paths with and asking myself, who can I bring to my vendor’s table? Or, which potential property listing would suit this buyer? I thrive on mutual benefit and making people happy.” Chris also recognises the importance of candour; being honest and accountable for the bad as well as the positive aspects of each campaign. “I don’t make excuses….If I’m not getting a result for my client I will bend over backwards to find a solution and make it right.” Arriving from New Zealand with Chris, were his wife Michelle, their three children and pet Spoodle “Bella”. Seventeen years' experience in sales and management within the Property Services, Health, and IT industries prepared Chris for the rigors of the real estate profession. Chris purchased his first property at the age of 21 - and so began his love affair with everything “property” – investment, development, rentals, and renovations. Chris takes pleasure in extracting the true value of the property. Chris has retained his passion for the active life, and in particular cycling. Unwinding with long rides out by the Bay, he also loves tackling the challenging hills of Mt Nebo and Glorious. Both on his bike and within the real estate process, Chris derives huge satisfaction from negotiating the ‘rugged terrain’ and achieving the seemingly impossible! When you add this intense drive to Chris’ patience, people skills and deep sense of responsibility to his role, it is clear why clients find their dealings with him so rewarding. And, in his capacity as Principal of Harcourts Inner East, Chris continually imparts these qualities to his team. Striking the right balance between informality and professionalism, Chris Lawsen is the EASY choice for all your important property needs. 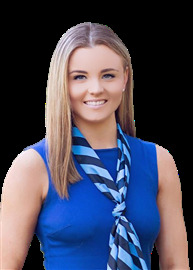 Annie started her real estate career in the prestige property market in the Hawthorne, Bulimba and Balmoral area and raised and educated her children at St Peters & Pauls & Loudes Hill. 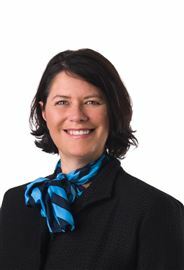 Annie then moved to Toowoomba where she continued selling prestige realestate and lifestyle acreage. 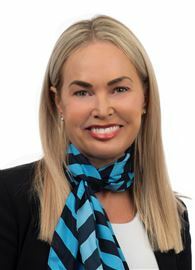 After successfully establishing & running the Harcourts office in Toowoomba for 13 years, Annie made the decision to return to the inner east market. Forming a sales team with John McLeod, Harcourts No 1 agent for 3 years running, it was not long before they established a strong market share in the area. With over 40 years in the industry combined, Annie and John can offer a level of experience second to none. Committed to achieving the highest possible price in the shortest possible time with the least amount of expense to their sellers Annie and John are a sought after team in the area. Although they have a strong auction focus Annie and John sell a lot of property by private treaty and tender - again an advantage of a high level of experience. Annie and John are extremely community orientated and always happy to help out. With a passion for real estate they are a formidable team dedicated to achieving a great result for their clients and continue to service these clients for life. Dedicated, engaged and accountable are the pillars that Sam has always worked within. Following a 22 year career in Fast Moving Consumer Goods (FMCG) across the wine, chip and beer industries, Sam began his Real Estate career April 2016 doing what he knows best – as Operations Manager for the Harcourts Queensland Corporate Team. 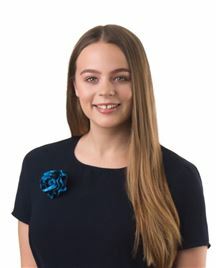 Working closely with the CEO, Growth Managers, Property Management, Technology and Marketing functions of the Queensland and broader Australian Harcourts network, Sam worked to identify new growth opportunities for the Harcourts business. He drove the Harcourts business strategy by looking for opportunities to add value, create efficiencies, and improve on processes and procedures for our Business Owners, Sales Consultants, Property Managers, and Office Administrators across all of the offices in Queensland. Having come from a very different marketplace where efficiencies, process, reporting and analytics were critical, Sam's insight, support and training has helped many to become better at what they do and allowing more time for what is most important - connecting with people. During his time as the Business Operations Manager, Sam had the opportunity to work within one of Harcourts Queensland’s top offices, eventuating in him making the decision to move into a sales position with the Harcourts Inner East Office. Sam relocated from Sydney in 2007 and first settled in the Balmoral area. He has always felt a connection to the Inner Eastern suburbs of Brisbane. The parks of Bulimba, the hills and their city vistas, the river that dissects the north from the south, the shops, cinema's and of course the food and cafes. Having also lived nearby in Carina and Camp Hill, Sam's two children attend local schools. Sam loves the convenience of shopping at Carindale, the ease of catching public transport into Southbank, fantastic parks for kicking a ball and having an afternoon in the sun, the trails through Whites Hill reserve, and the bikeways along Bulimba Creek and into Southbank and the city. 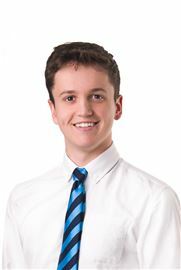 The Harcourts Values really resonate with Sam, giving him a strong and positive company framework to deliver his services within: People First Doing the Right Thing Being Courageous Fun and Laughter. The great Australian dream. Buying or selling your home is one of the most significant events in a person's life. Whether it is your first home, you're up-sizing, down-sizing, or even investing - Sam is here to help. Here to help make your experience a memorable one (for all the right reasons). Here to help you make informed decisions. Here to help you feel confident and comfortable. What can Sam do for you today? You can contact Sam by email on sam.hinshelwood@harcourts.com.au or on 0423 55 88 91. Large unit with city views! We Found A Real Oasis Here!! Balmoral Land - City views!! Passed in MUST be sold! A Gem Waiting To Truly Shine! Be Quick - Won't Last! !